Now that you have a good understanding of basic blues form, it’s time to enhance it to create the more interesting and sophisticated jazz blues progression. Whilst the basic 12 bar blues just contains 3 chords, the I, the IV and the V, the jazz blues also incorporates the most common progression in jazz music… the 251 progression. 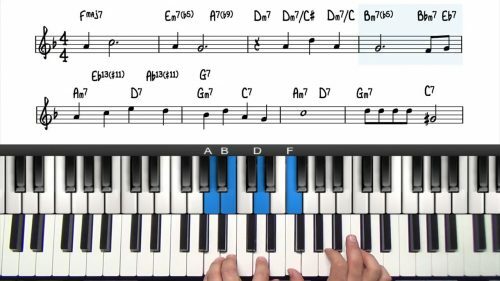 In this lesson, we will cover what is commonly accepted as the jazz blues form. If you are at a jazz jam night and someone calls the "blues in F", this is the chord sequence or chord progression that will be played for the 12 bars. 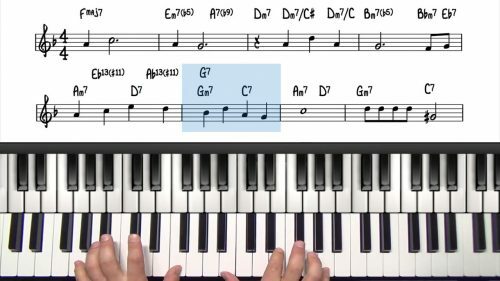 The jazz blues progression has been used as a template for some of the greatest tunes in jazz history so by understanding and memorizing this progression, you will also have learnt the blueprint for a good number of very common jazz standards. In the next lessons we are going to delve straight into blues improvisation and so our left hand needs to have its act together. We will start by exploring the importance of chord tones, and how they are an essential element of your improvised lines. Memorise this progression down so that you can play through the voicings with your eyes closed. Spend the necessary time to practice it so that you don’t need to think of the notes your left hand should be playing. Pay attention to smooth voice leading between the chords. 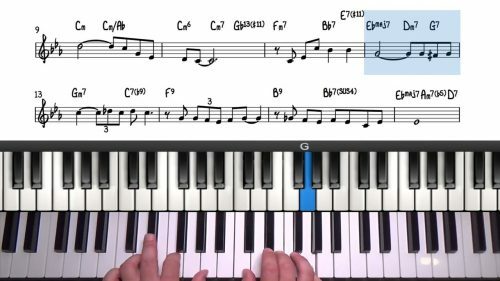 Alternate the alterations and extensions you choose to play to add variety to your left hand.